The fear of sales and marketing is considered a very real symptom, this especially if it’s your chosen profession to be a salesperson. Or for businesses who knows that they need to generate more sales and revenue, but are unsure or unwilling to do so. These thoughts of apprehension involves and strikes everyone, from the very first time novice salesperson or marketer, to the well seasoned professional. Everyone can be held back from achieving success on occasion, this burdened by knowing that they need to sell on a daily basis, this to make a living. There are a few clinically recognized fears when it comes to this anxiety. Symptoms include poor belief in oneself, poor self image, fear of failure, rejection, criticism, poor presentation skills, and a lack of product knowledge. Any of these fears can cause a breakdown or that sudden queasy feeling in the stomach, during or prior to a sales presentation or marketing campaign, preventing one from getting conversions or closing the prospect. Undoubtedly, one of the biggest fears of life let alone sales, is failure. Most who are in sales or marketing, has their doubts. There’s nothing more demoralizing, than constantly coming up short. This fear of failure stems from our school years, so much so that most won’t dare to try the same action twice. The lesson that’s learned was that if that action was a failure even just once, then it probably won’t work again, so we never try again. So what we need is to overcome this fear, which begins with a dedicated focused positive attitude that things will get better, that things will change. We need to develop an inner voice, which will push us forward to that next prospect. Failure needs to be viewed as a learning process, as there’s always something that can be learned from every failure. Then improve on it by testing, so that if it happens again, it can lead you closer to success. It’s thought that success, is a result of failing 95% percent of the time. We’re not born with boundless amounts of self-confidence. When you begin out in sales, there are times of nagging doubt when you think you’re in over your head. successful as possible, what you need is to just feel better about yourself. • Envision how successful you are, how you look, the car you drive, where you live, etc. Repeat back to yourself that you’re assuming each and everyone of these qualities, becoming a better salesperson on a daily basis. Repeat this first thing in the morning, and then before you go to bed, and you’ll begin to find your self image and confidence beginning to grow. The byproduct of the fear of failure is rejection. Just hearing the response “No,” can easily blunt any type of motivation. The best way of dealing with rejection, is by first accepting it will happen, that it’s just a numbers game. Which is also a fear, since a lack of knowledge about your product or service results in making a poor presentation. There’s just one simple solution to this, know your product inside out, along with your competitors product or services. Absorb yourself in the product by understanding all of its features and benefits, so that you can talk confidently about every area of what your offering. Banishing this fear, is one of the easier things to do. No one enjoys criticism, especially if you’ve put forward your best effort. Unless you’re extremely thick skinned, criticism will knock you on your backside. But once you improve your self-image, criticism becomes easier. Decide to view criticism as feedback, rather than a direct attack on you. There’s always certain elements of truth in any type of criticism, and it becomes important that you take these opportunities to learn and change. 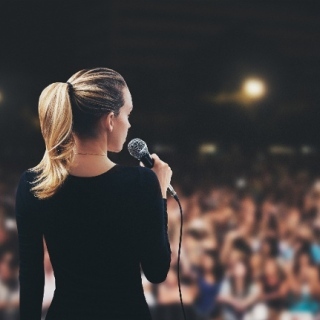 You may know the features and benefits of what you’re selling down pat, but you happen to suffer from stage fright. The fear of presentation, can be as simple as a lack of structure around your sales pitch. So write a basic outline, on how you’re wanting the sales presentation to go. Prepare a script featuring the key parts of the presentation, and then rehearse it over and over again. The most effective method, is role playing the presentation itself. This provides the opportunity for you to practice, make mistakes in a risk-free environment. Go join the local chapter of Toastmasters, and then refine your speaking in public. Learn from books, audio, and seminars on effective speaking methods. These actions will improve your confidence, for a more polished and professional sales or marketing presentation. Selling doesn’t need to be a scary experience. What you need is the right attitude, a strong self belief in yourself and complete knowledge of your product. Once refined, it becomes a numbers game. Combine this with plenty of practice, then you’ll find these fears of selling or marketing beginning to dissipate. Just dissect each of them, and then put a plan in place to eliminate them.